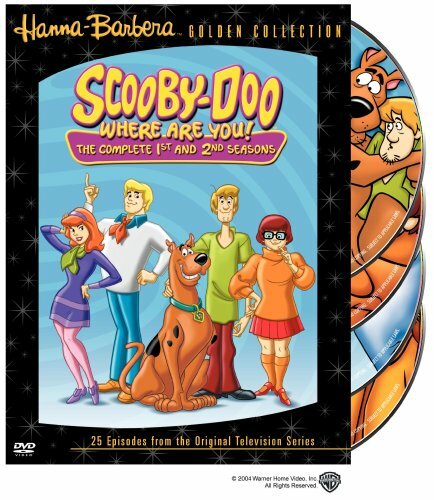 WE�RE GIVING AWAY DVDs FROM WARNER BROS.
Scooby Doo, Where Are You! - The Complete First and Second Seasons - BUY THIS DVD! Everybody's favorite cartoon makes a striking return with this special release, which contains all twenty-five episodes from the show's unforgettable first two seasons. Join Fred, Daphne, Velma, Shaggy, and Scooby-Doo as they find themselves stumbling their way through a series of hair-raising adventures. From legendary producers William Hanna and Joseph Barbera, SCOOBY-DOO, WHERE ARE YOU? is family entertainment at its most hilarious. CLICK HERE FOR MORE SCOOBY-DOO FUN AND INFO!